I'm getting closer to the half way mark in this book! 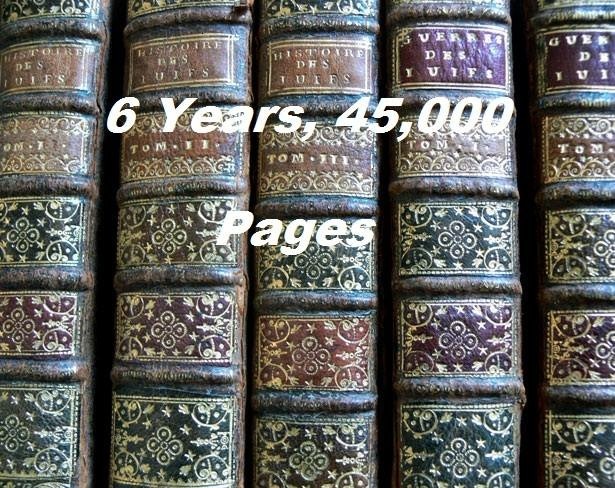 On a less literary note, though, 6 Years, 45,000 Pages officially has both a Twitter account and a Facebook page! The links to both can be found on the right side of this page. I'm going to try to post daily updates on percentage (unless there is nothing to report) as well as notices when there is a new blog entry. So like me and follow me there! Today's vocabulary word is the word "baize" which is a type of fabric, similar to felt, that is often used to cover billiard tables and card tables. Pepys has clothes made out of it, but it seems that is uncommon now. I found this interesting because I had always supposed (silly me!) that card and billiard tables were just covered in felt, but now I know better! "...So to my brother's and to church, and with the grave-maker chose a place for my brother to lie in, just under my mother's pew. But to see how a man's tombes are at the mercy of such a fellow, that for sixpence he would, (as his owne words were,) 'I will justle them together but I will make room for him;' speaking of the fulness of the middle isle, where he was to lie; and that he would, for my father's sake, do my brother that is dead all the civility he can; which was to disturb other corps that are not quite rotten, to make room for him; and methought his manner of speaking it was very remarkable; as of a thing that now was in his power to do a man a courtesy or not." NOTE: When I type these quotes I try to replicate them exactly as the text in my copy of the book has them. Pepys's diaries were originally written in a sort of shorthand and were then translated at a later time. The spelling is often nonstandard and I have left them the way they were. Also, he writes in very long sentences sometimes, so in this case I have begun the quote in the middle of a sentence in order to make it more readable.